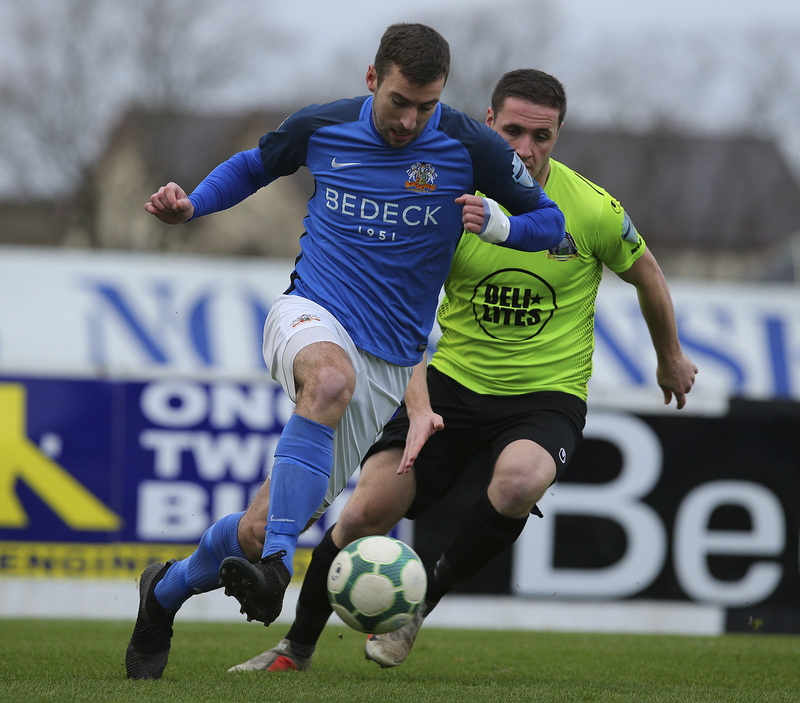 Glenavon travel to Newry City tomorrow (Tuesday) night for the Final of the Mid Ulster Cup, kick-off 7:45pm. The hosts have had a fairly successful season and currently lie in 3rd place in the Bluefin Sport Championship, just a point behind second placed Welders. On Saturday they put in an excellent performance at Windsor Park against Linfield in the Irish Cup, only losing 1-0 to the holders. 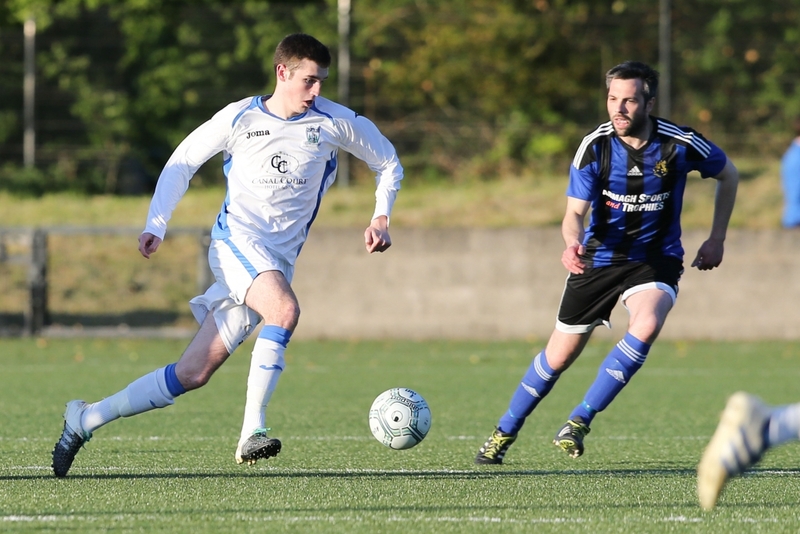 On the way to the Final City defeated Windmill Stars 4-1 in Round 1, knocked out Dungannon Swifts 1-0 in the Quarter Final before beating Banbridge Town 2-1 in the semi-final. 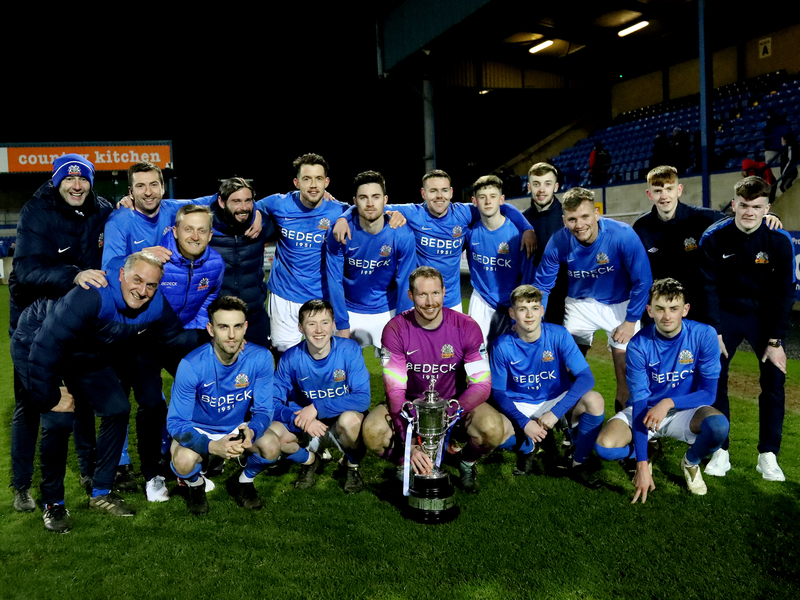 Glenavon’s route to the Final began with a 5-1 home victory against Rathfriland Rangers followed by a 2-1 win away to Armagh City in the Quarter Final. 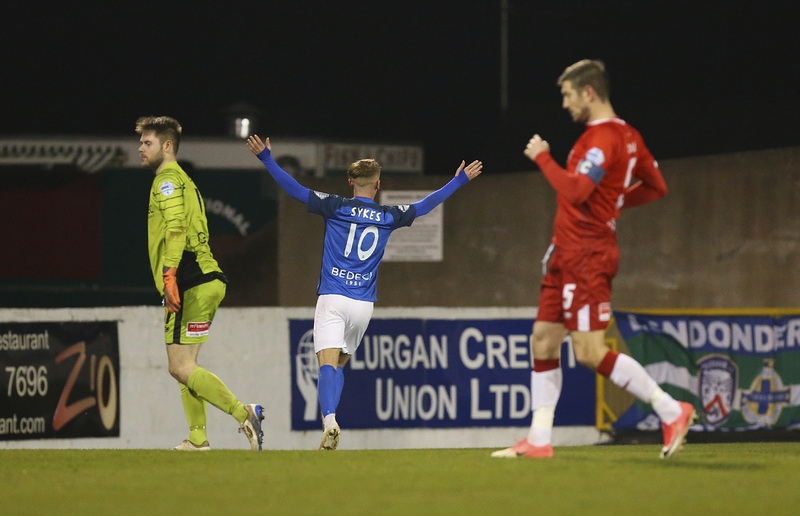 The semi-final featured a game at Shamrock Park against Portadown that the Lurgan Blues won quite comfortably with a 2-1 score line. 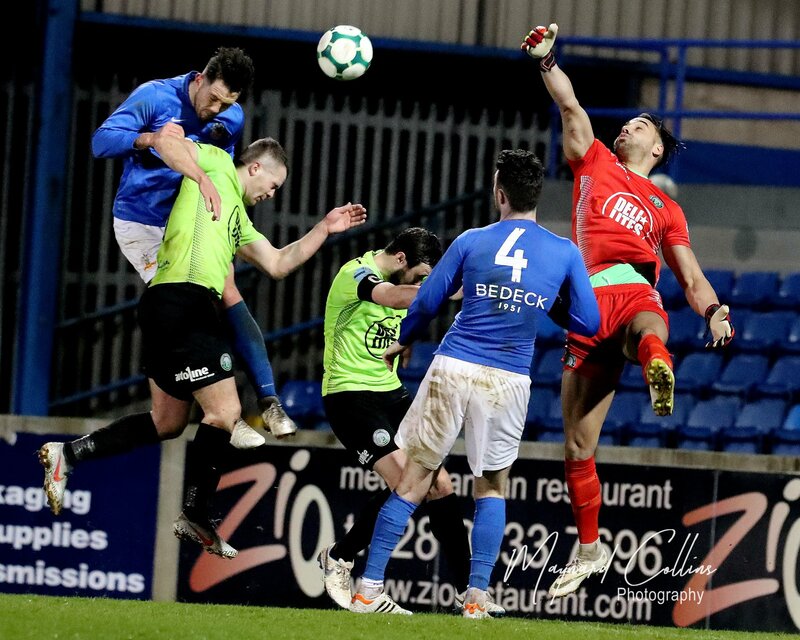 That game drew considerable media attention as the Glenavon line-up featured 14-year old goal keeper Conner Byrne who stood in for the regular second-choice keeper James Taylor who was unavailable. 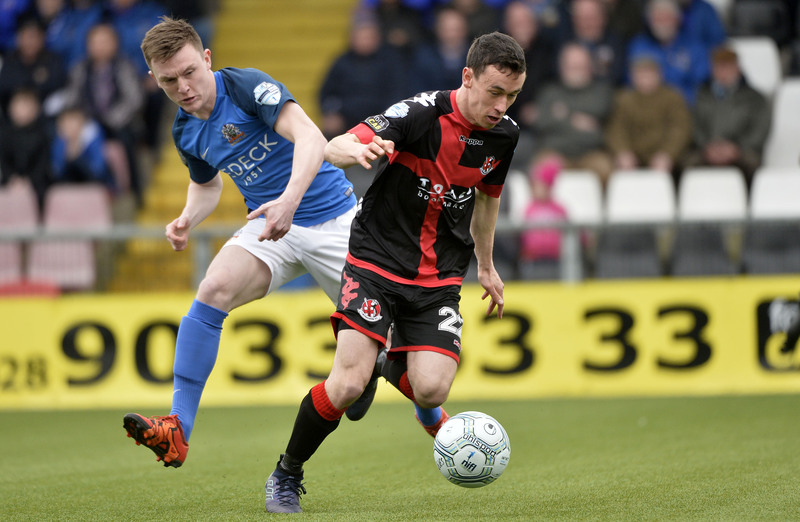 Gary Hamilton is likely to continue his policy of playing a blend of youth and experience in this competition, giving his young stars valuable experience and some useful game time to first teamers who have not had much time on the pitch lately. Mark McCabe is Newry City’s leading goal scorer this season with 14 league goals to his name. Pictured: Newry’s Mark McCabe and Armagh’s Ultan Lennon.